Below you fill find all funeral homes and cemeteries in or near Wexford. Zip codes in the city: 15090. Some of the notable people born here have been: Thomas Keiser (american football player), and Dan Smyers (songwriter and musician). Wexford is an unincorporated community in Allegheny County, Pennsylvania, United States. The area known as Wexford is split among multiple municipalities, including Franklin Park, McCandless Township, Pine Township, and Marshall Township. It is named after County Wexford in Ireland.Home to many upper-middle-class people, Wexford's commercial landscape is dominated by a mixture of corporate chains, car dealerships, and a number of local small businesses, concentrated on the main thoroughfare of the "Wexford Flats", U.S. Route 19. It is also home to what is considered to be one of the top high schools in Pennsylvania, North Allegheny Senior High School. Other schools in the area are Pine-Richland High School, Marshall Middle School, Wexford Elementary School and Vincentian Academy.It was recently ranked the twenty-eighth best place to live by Money magazine, despite it being essentially a postal zip code and a general descriptor of a section of the suburban Pittsburgh metropolitan area, not a municipality of any type. The presence of North Allegheny Senior High School, a large, well funded public high school, the numerous businesses, and a number of churches along the "Wexford Flats" gives the area a more distinct community identity than simply an otherwise unremarkable suburb in the Greater Pittsburgh Area. Adjacent to Wexford is North Park and North Park lake. This area is a great asset to the community featuring many hiking/biking trails, 5-mile paved running path around the lake, many pavilions for outdoor events, outdoor ice rink, golf course, dog parks, many playgrounds, a C.O.P.E. course, and local restaurants and shops. The lake underwent construction, including dredging and refinishing shore lines, between 2009 and 2012.The Wexford area is a growing community with subdivisions and neighborhoods constantly increasing. To account for the immense increase in population in the past few years and for years to come, the county ultimately expanded U.S. Route 19, the road that runs through the "flats", by adding a center turn lane. Before its expansion, the road was four lanes (two each way), and heavy traffic caused significant problems for drivers attempting to perform left turns.Unlike most of Allegheny County, Wexford was removed from area code 412 when it was subdivided in 1998, being placed in area code 724 instead. Part of this was because of Wexford's close proximity to Cranberry Township, one of the fastest-growing areas in the United States. It was noted on September 24th, 2018 that Christine Knobloch (Watzelt) died in Wexford, Pennsylvania. Ms. Knobloch was 83 years old and was born in Skalken, . Send flowers to share your condolences and honor Christine's life. It was noted on May 27th, 2018 that Evelyn Louise Hoffman (Easley) passed on in Rio Verde, Arizona. Ms. Hoffman was 79 years old and was born in Wexford, PA. Send flowers to express your sympathy and honor Evelyn Louise's life. It was noted on August 31st, 2017 that Mary Mauney (Steadman) passed on in Wexford, Pennsylvania. Ms. Mauney was 92 years old. Send flowers to express your sorrow and honor Mary's life. It was revealed by Orange County Register on July 13th, 2016 that Francis James Casey died in California. Send flowers to express your sympathy and honor Francis James's life. It was revealed by Orange County Register on July 13th, 2016 that Francis James Casey passed away in California. Send flowers to share your condolences and honor Francis James's life. It was written by Johnstown Tribune-Democrat on May 3rd, 2016 that Raymond John Holtz passed away in Wexford, Pennsylvania. Holtz was 69 years old. Send flowers to express your sorrow and honor Raymond John's life. It was written on October 9th, 2015 that Camilla Catherine Kassner passed away in Wexford, Pennsylvania. Kassner was 91 years old. Send flowers to express your sorrow and honor Camilla Catherine's life. It was disclosed on December 22nd, 2014 that Martha Elizabeth Loeffel (Edmondson) passed away in Wexford, Pennsylvania. Ms. Loeffel was 72 years old and was born in Gainesville, GA. Send flowers to share your condolences and honor Martha Elizabeth's life. It was revealed by The Butler Eagle on March 27th, 2014 that Irene Conoran (Meinert) died in Wexford, Pennsylvania. Ms. Conoran was 100 years old. Send flowers to express your sorrow and honor Irene's life. It was noted by The Butler Eagle on March 10th, 2014 that Charles W McAfee died in Wexford, Pennsylvania. McAfee was 72 years old. Send flowers to express your sorrow and honor Charles W's life. Christina Aguilera moved here in her childhood with her family. 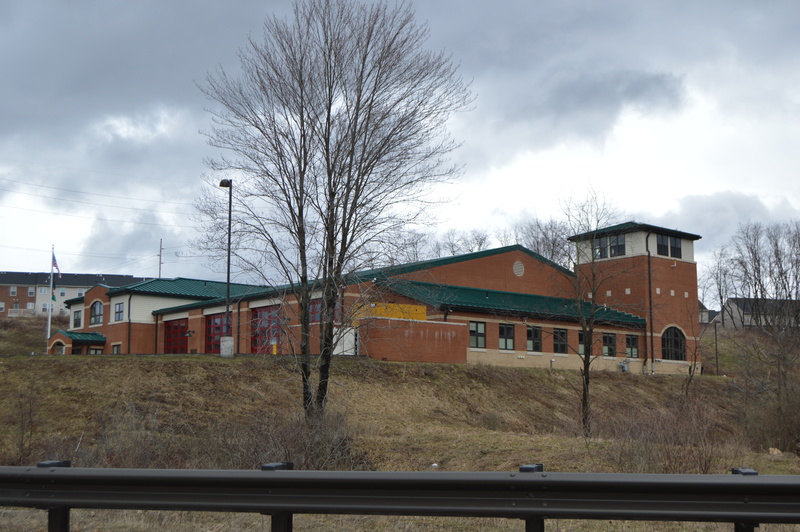 In addition to the many big-box chains, movie theaters, and malls associated with suburbia, it is also home to what is considered to be one of the top high schools in Pennsylvania, North Allegheny Senior High School. However, it lacks many of the typical attributes of a town, including a government of its own. Besides the local high school and a few churches, social activity in Wexford centers around coffee shops and restaurants. It was recently ranked the twenty-eighth best place to live by Money (magazine) magazine, despite it being essentially a general descriptor of a section of suburban Pittsburgh and not a formal "town". Friends will be received today from 3 p.m. until the time of service at 7 p.m. in the BOHN-MATICH FUNERAL HOME INC ... 50 Moffett St., Pittsburgh, PA 15243. Those attending the funeral Mass are invited to meet at HILL & KUNSELMAN ... 6200 Brooktree Road, Ste 220, Wexford, PA 15090. "I would like all of my family to know how very much I loved each and every one of you." - Ann Brenzo. Listing all funeral homes in Wexford, Pennsylvania so you can easily send flowers to any location (same day delivery) or find any funeral service. We work with local florists and flower shops to offer same day delivery. You will find budget sympathy flowers in Wexford here. Our funeral flowers are cheap in price but not in value.